Wednesday (Mark Reynolds, his 206 strikeouts, and the lost taboo of the K) edition: Wha' Happened? Growing up, we remember Steve Balboni. He was a stout, slugging first baseman for the Royals in the mid-1980s. He seemed to strike out an obscene number of times, leading our dad and us to give him the moniker "All or Nothing." We noted that it was usually nothing, and this nickname was not a term of affection (not that we rooted for the Royals, but they were actually good in the mid-1980s and received pretty good exposure). Balboni whiffed a league-high 166 times in 1985, and more than 450 times in a three-year span. Back then, there seemed to be a certain shame in striking out, even if there was a reward (Balboni cracked at least 28 home runs in those three big-whiff years, likely using no performance enhancer greater than his own considerable girth). You knew back then who the big whiffers of all-time were. Bobby Bonds. Dave Kingman. Rob Deer. Pete Incaviglia. Those names had a certain place in baseball lore that leaned toward infamy. These days, in an era of OBP, slugging percentage and, of course, the combination of the two in OPS, the strikeout seems to have lost a great deal of its taboo. As long as a player walks enough times and rips enough extra base hits, the non-productive strikeout doesn't seem to matter. Sure, the baseball purist can still recognize that there are times during a game and a season when a fly ball or ground ball out is far more productive because it advances a runner or puts pressure on a defense, but the strikeout is generally more acceptable (at least it seems that way). 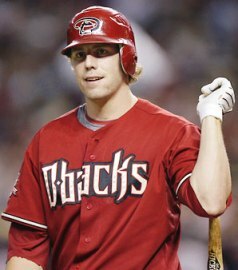 That brings us to Arizona's Mark Reynolds, one of the great poster children for this theory. Reynolds last night broke his own single-season record, set last year, for strikeouts in a season. He now has a mind-boggling 206 K's this season. And for this, he is surely a little embarrassed, right? "So what?" Reynolds said of the mark. "We won the game today, I got 100 RBIs, it was a good day." Indeed. Reynolds has 43 HRs, 100 RBI and an OPS of .919. Should it matter that more than half the official outs he's made have come via strikeout? Should anyone care that the five highest single-season strikeout totals (including Reynolds, who is not officially on this list yet), have all come since 2007? Should the production of guys like Reynolds, Adam Dunn and Ryan Howard (199 each of the past two seasons and on pace for 190 this year) be the only thing that matters? Or is there still a certain ingloriousness to turning around, bat on shoulder, and walking back to the dugout? The purist in us says there is still shame. What do you think?